In medium bowl with electric mixer, beat 4 oz cream cheese, 1/4 cup sugar and 1/2 teaspoon vanilla until smooth. Unroll 1 Pillsbury™ Refrigerated Pie Crust onto cutting board. 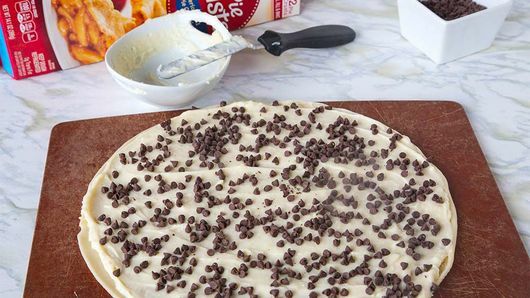 Spread cream cheese mixture evenly over pie crust. 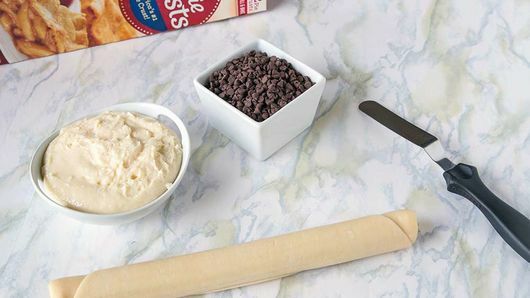 Sprinkle evenly with 1/4 cup miniature semisweet chocolate chips. Roll up tightly. Refrigerate 45 minutes. Cut roll into 1/4-inch-thick slices; place on ungreased cookie sheet. Bake 9 to 11 minutes or until pie crust is golden brown. Remove from oven; let stand 5 minutes on cookie sheet. Remove from cookie sheet to cooking rack; cool completely before serving. If you want to dress up the cookies, make a simple glaze with powdered sugar and milk to drizzle over the cookies after they’ve cooled. Prepare cookies up until you place in the fridge. 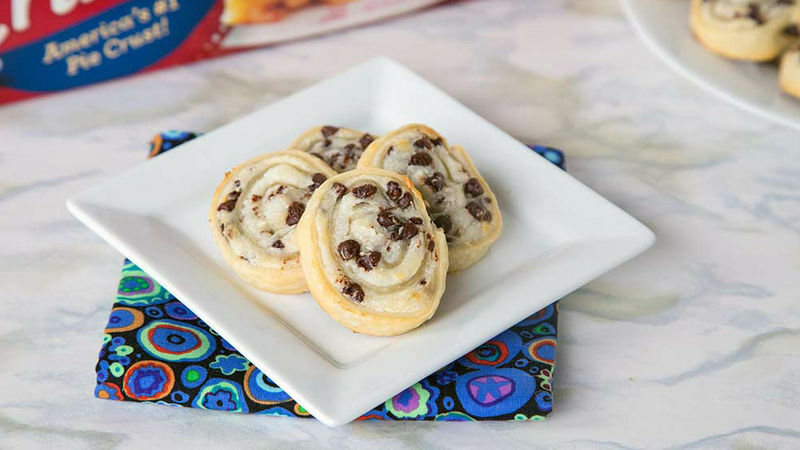 Wrap roll in plastic wrap and store in the freezer for quick and easy cookies anytime.